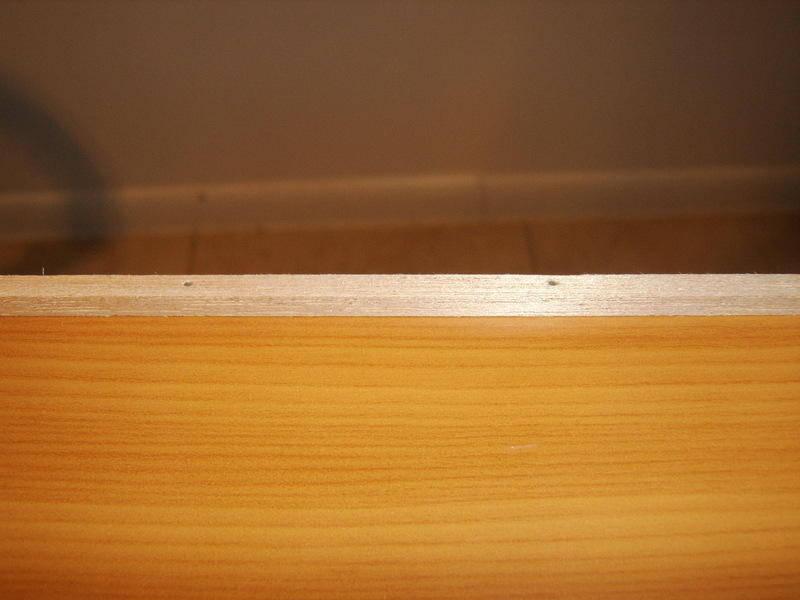 2) Cut the strips to fit the size of the desk and sanded down the ends to make them smooth. 3) Prepared the nails by hammering them into all of the pilot holes. I only hammered them partially in, so that the nails were not sticking out the bottom. 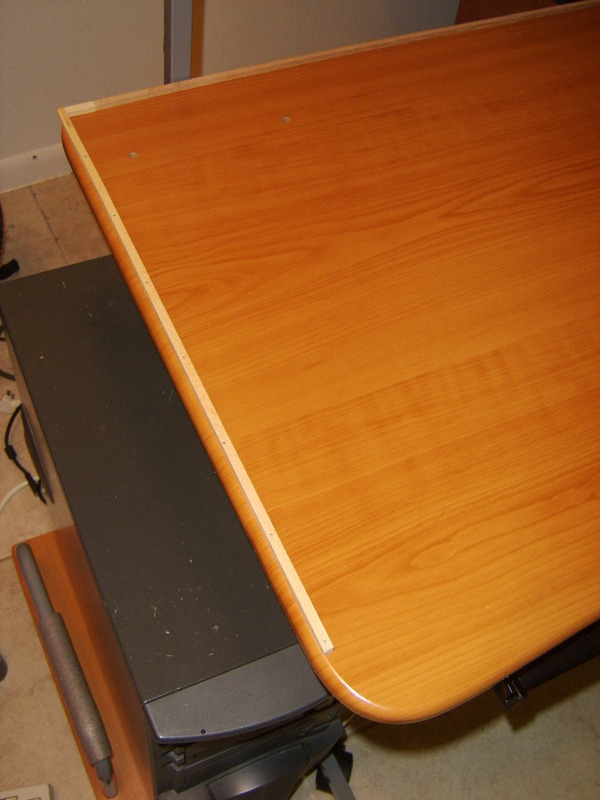 4) Laid the strips down on the desk. Once I was happy with the placement, I finished hammering the nails through the strips and into the desk. 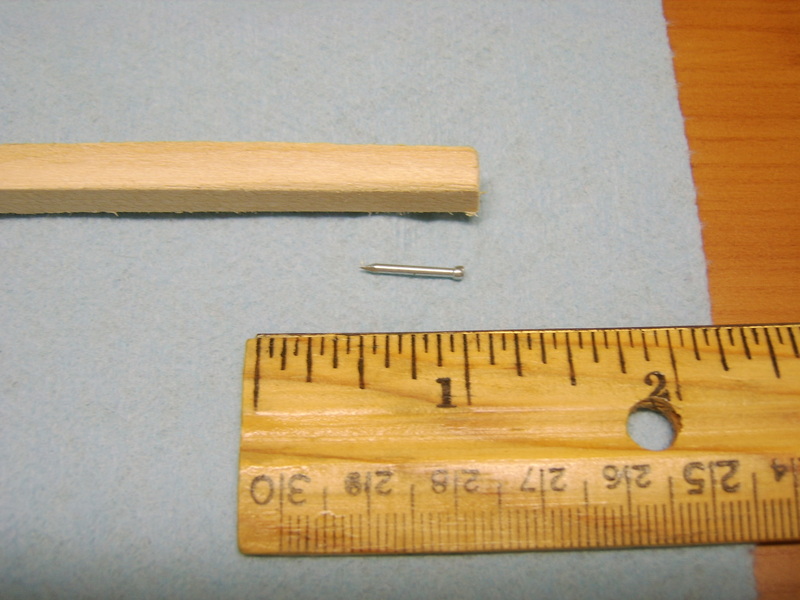 5) The strips I bought were a little too short to span the entire back of the desk, so I cut some small pieces that would fill the empty space. 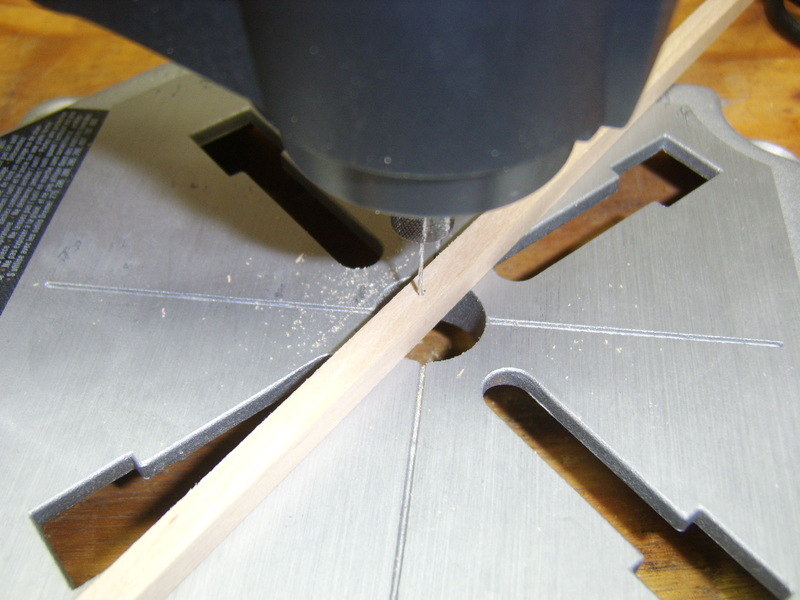 Rather than nail them down, I started by making them slightly larger than the empty space, and then sanded them down until I could wedge them in between the nailed-down strips. This ensured a tight fit so that they would not fall out. You can see one piece in the last photo below.